Hot walkers have been around for years. It is in its basic form a means for a horse to be exercised or cooled out. A person that walks a horse, like a race horse or an event er, can be considered a groom with the job of walking a horse. This however is not what most of us think of when we think of a hot walker. We think of a four to eight armed machine that people tie horses to and it walks the horse around in a circle. There are many types of mechanical hot walkers, each with their unique advantages and disadvantages. One type of hot walker is the lead walker. This type is for between four and eight horses. The horse is tied to one of the arms and a motor starts them walking around the circle. It can be reversible so that the horse doesn’t get one sided from traveling in one direction. The motor on most of them can be reversible. Some of them have a safety feature that will stop the motor if resistance is applied for a certain amount of time. 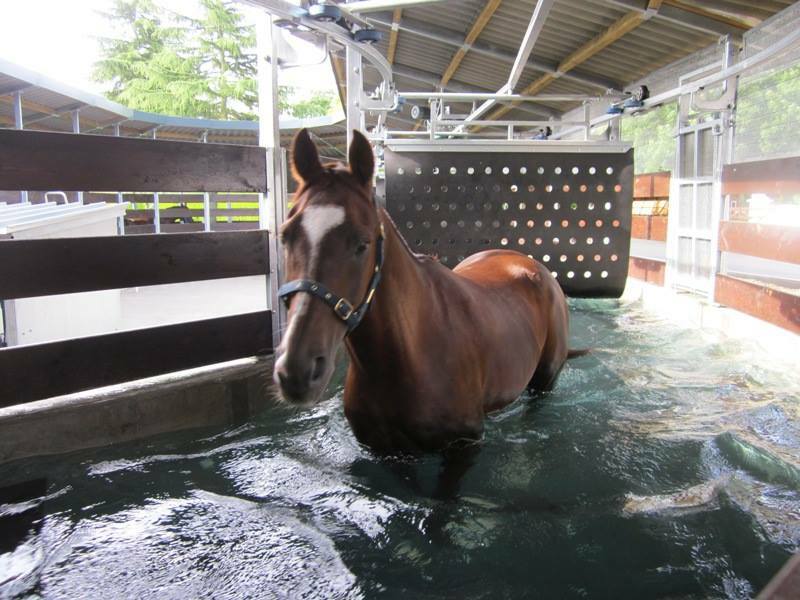 These walkers are good for cooling out hot horses, exercise and therapy. The horse should be tied with an emergency release knot or another type of quick release snap. Most of them can go faster according to the length of the arms. Some of them allow for cantering and trotting on the line. The ground should be good and not too hard or soft. 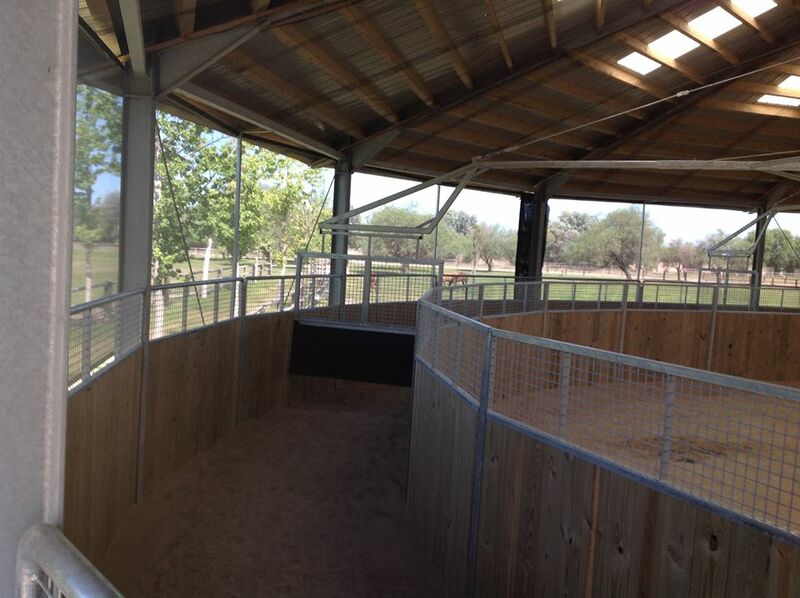 A fence around the walker is not necessary but it may encourage the horse to stay calm. Some horses get fearful on the walker and can pull or get tangled in the rope if it is not tied short enough. They should have a good length of rope to allow room to move their head but not too much that they can get their nose below their chest. If there are only two horses that need to be exercised, then they should be placed across from each other to keep the walker balanced. Also working horses in the rain can be dangerous because it could short the motor and cause electrical charges. The wires that run the motor should be buried at least 18 inches down so that the horses can’t wear the ground away and expose them. By far the most unusual type of hot walker is the water walker. This walker is set up like a panel walker except if has taller, water tight sides. This allows for sea or fresh water to be added at varying heights. Some models have cooling and heating systems. The water can help heal tendons and because of the resistance, it builds muscles and relives joint pressure. Deeper water heights relieve some of the horse’s own weight when they are walking and it can help them. The floor should be grip substance so that the horse doesn’t slip. Also, a poop catcher is nice because once the water gets dirty it must be drained and cleaned to remain healthy for them. The water can be drained and it can then be used as a standard panel walker. There are many types of hot walkers. It is just a matter of which one fits your unique needs.